Color and form fascinate and intrigue me, that is why I love painting designs with a lot of bends, flips and ruffles. Which usually means I design and paint a lot of florals, but I also love autumn leaves and butterflies. I have spent years developing my style to present realistic designs painted in the simpliest yet most beautiful way possible. 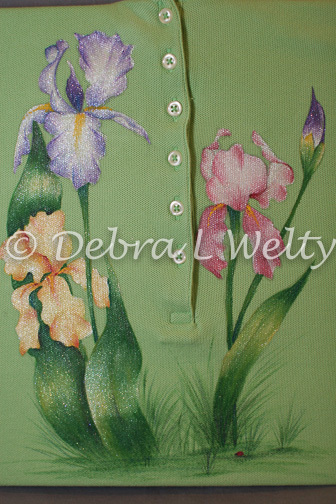 Painting with oils and DecoArt So Soft fabric paints are among my favorite mediums. Because I love creating dimension from a simple line drawing I also love pen and ink. I would love to share my passion with you in a class setting, my travel teaching rates are calculated based on the size of the group. Contact me at my e-mail address for more information. Jubilee Junction, my home based art studio, is where I film DVDs and YouTube videos. Learn how to paint a dragonfly, or embellish with glowing autumn leaves. Keep up on the latest by checking out my YouTube channel. Exciting news, some of my design packets and DVDs are being offered in French! 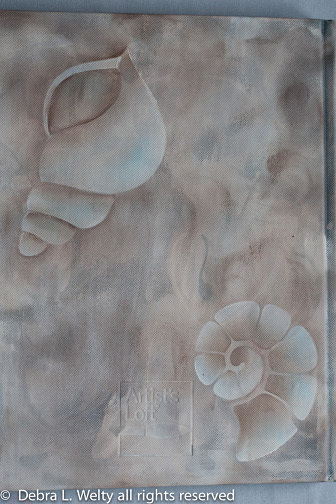 On art-aux-mains-magiques.be. 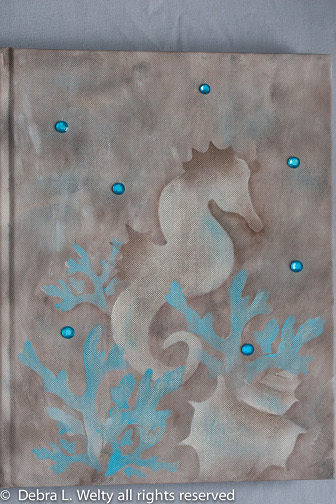 Check out their full line of DecoArt So Soft and Americana Paint. Contact me by e-mail. "Like" me on Facebook to see the very latest designs, experiments and chatter. Or I am also on Pinterest if that is your preference. I have created many beautiful designs, such as these Double Lilies in oils. 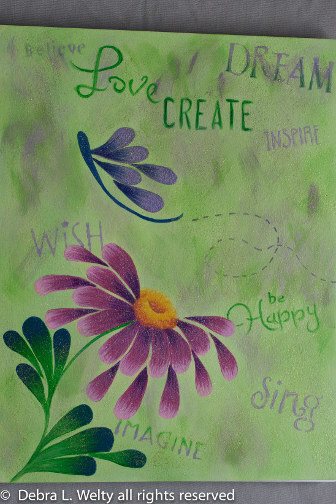 I also love to paint my designs on fabric using DecoArt So Soft fabric acrylics. This "Shimmering Iris" is an all time favorite. Pansies are a favorite subject of mine to paint. 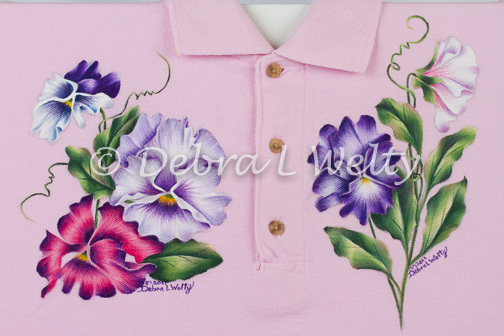 I have a variety of designs and mediums, such as the "More Pansies" shown here painted on fabric, on my Facebook page to see more pansies painted in oils as well as rendered in pen and ink with oil rouging. 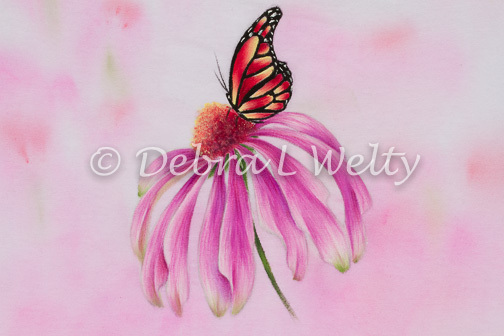 I enjoy painting colorful backgrounds as you can see in the design "Coneflower and Monarch" where I used a watercolor technique to create the backdrop for the main flower and butterfly. I use a varitey of techniques so be sure to check them all out. 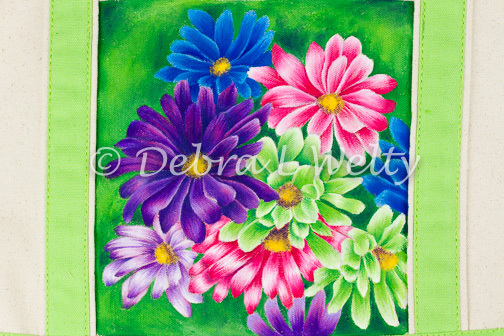 I am known for my bright colors and my "Birthday Daisies" design is a good example. 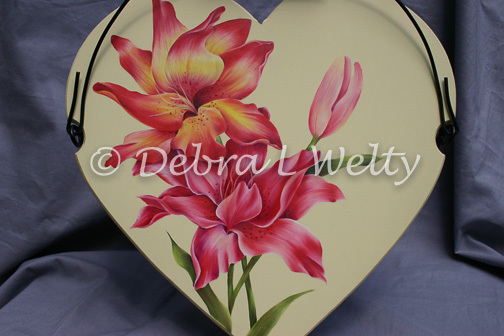 It is painted on a heavy canvas tote bag using DecoArt So Soft fabric acrylics.